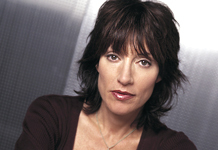 See the gallery for quotes by Katey Sagal. You can to use those 6 images of quotes as a desktop wallpapers. I think the biggest change has been realizing I now have three children. 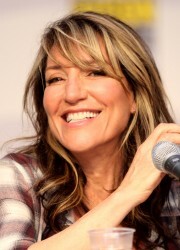 I've done comedy most of my career, which I love, but I wanted to expand. I've never played a character that would sing. I've never worked on a lawyer show for a long time, but I imagine the actors all start acting like lawyers. It's great to be mean, it is, it's fun. It's so weird that I play this woman who pretty much deals with violence on a daily basis, and I'm such a wimp in who I am. It's sort of the mixed blessing of being on television for so long in one thing; sometimes that backfires, in that you're not able to continue on. My parents were very artistic, but busy. My thing about having another child was, time's-a-wasting! 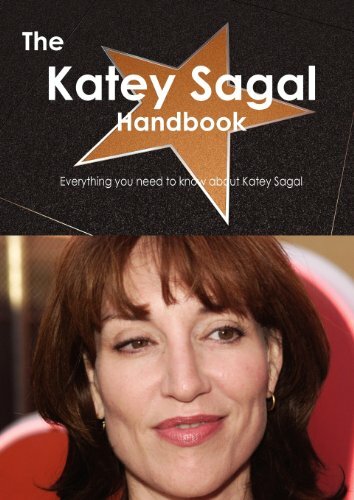 Much more quotes by Katey Sagal below the page. There's so many great songs already written, it's kind of really wonderful you don't have to write your own. You know, it's hard sometimes to just detach yourself from what you're doing. You realize mortality is everywhere. I always had a struggle, which I still do, when you're playing a character and it's not necessarily your morals or your values. You're playing a character, but the way the media will sometimes ask you if these are your opinions, you know - they make you responsible for that, and I take issue with it because I don't believe in censorship. I would literally have to go meet people so they could see I didn't have big red hair and wear high heels constantly. It was just really ingrained in people. I'm a better mother if I'm also doing my work. Some women find a lot more satisfaction from doing the hardest job, which is being a mom. But I like my day job, so I juggle a lot. When you tour with a band, you're just out there, and it's just you guys. That's your little universe. If you do a play, it's the same deal. That becomes your world, for the cast and crew. You know, episodic TV directing is a very long and arduous job. You have very short schedules, short short shooting days, and you have to get lot of pages done. I had to accept the fact that sometimes things happen that are out of our hands. And I like to interpret music. So I think it's all interpretive. Being a mother has been my greatest teacher and also the most self-sacrificing thing I've ever done. Generally, I find a lot to be grateful for. I do tend to play characters that have a lot of costume and hair change. I sort of like the change of physicality thing. I don't take story input from fans. I have a little kitchen office at home, where I do all my kids' stuff. I have teenagers, so I listen to a lot of music. They turn me on to great music. I have this whole new audience now. I like when everything's naturally moving along - I find that pretty exciting. I love interpreting other people's music. I love to play gigs. I made a living being a background singer for years. I really like sort of disappearing.